When it comes to picking out books for your children who are either just learning how to read or already reading on a basic level a great place to turn is literary classics. Below are a few authors and their timeless stories that continue to resonate with kids around the globe. Chances are that if you live in the U.K. or the United States, you’ve heard of Winnie the Pooh, that lovable “bear of little brain”. Pooh’s adventures have been modernised and updated, but you can still easily snag a copies of the original version. The word on the street says that Dr. Seuss (Theodor Geisel) was initially rejected by publishers, as his inventive language and wacky scenarios seemed too risky to bring to audiences. Fast forward several generations, and he’s become one of the most recognisable children’s authors on the planet. Who doesn’t love Peter Rabbit, that sweet hare who is just a tad bit naughty (or should we say “curious” to be polite?) He’s a scamp, it’s true, but his tales are the perfect opening for parents, guardians and teachers to help young people understand that actions have consequences. Shel Silverstein may not be as familiar to today’s parents and educators as some of the other authors on this list, but his works are absolute relevant to 21st century boys and girls. He has the ability to tackle complex themes (as in “The Giving Tree”, which follows a whole life of a boy from a tot to an elderly man) in a practical, beautiful way. The “Wild Things” has entertained many children over the last decades. This story captures perfectly the struggle that kids feel as they grow up and struggle with their own independence. They want to be good, but they also want to themselves, and that can sometimes include doing things that are deemed inappropriate… or, perhaps, “wild”. For older children who are ready for a longer book, “Alice in Wonderland” presents a superb opportunity to explore a fictional world with bigger-than-life, extremely entertaining characters. So many children have been enchanted with “The Lion, the Witch, and the Wardrobe”… in fact, it’s become a cult classic with adults, too, who are reading it as adults with more mature eyes and more life experience. Lewis’ expert use of language weaves a tale not easily put down or forgotten. Dahl’s classic about a candy factory was inspired and more than a little offbeat… no wonder it became such a bestseller! 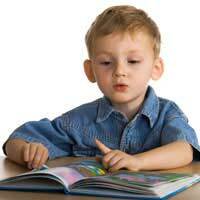 Chances are that your child will read it cover to cover more than once.